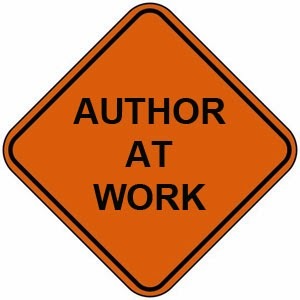 Basically, what it all boils down to is that my friendly neighborhood beta-proofreader Nancy Hansen is still going over the second draft of my Companion Dragons novella "Kiri's Quest" while I continue working on HUGH MONN, PRIVATE DETECTIVE, BOOK 3: FEMME FATALE. Once the above is totally completed, upcoming projects WILL include a couple of short stories I want to write, going back to that "new idea" I've kicked around and mentioned in previous Progress Reports over the last few months, and what will eventually become PROJECT ALPHA, BOOK 3. My heart💓 and overall health are about as good as a man my age who has (luckily!💚🍀) survived both congestive heart failure AND an aortic aneurysm can be. I still have my good days😊 and my bad ones😔, but as my Dad would say, at least I'm still above ground. Well, I better get back to writing now.